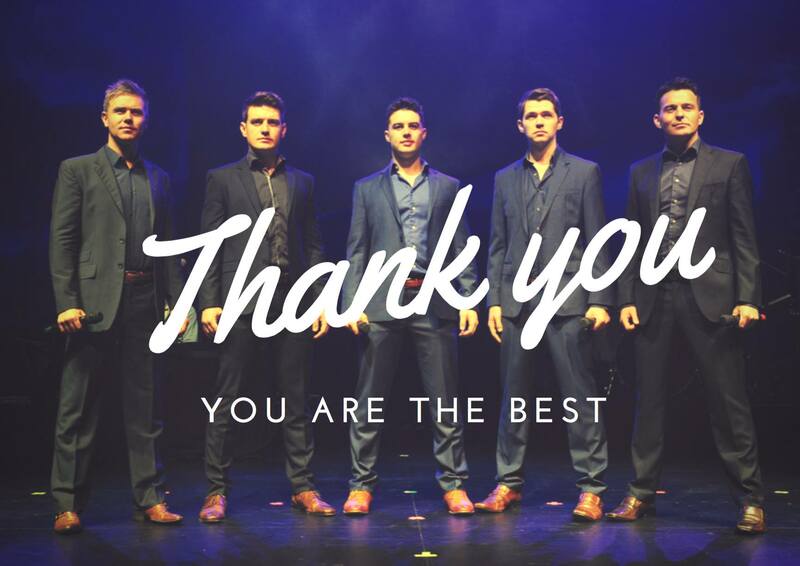 😉 This wouldn’t have been possible without you.. We have the Best Fans in the World…. Thank you so very much for giving us the chance to watch this, not just once, but all weekend! Thank you for taking the time to work through the glitches, both with the show and with your fans. I, for one, adore this group and want nothing but the best for you……..after all that is what you always give us, Your Best. Than you again. Great show. I seen it in September in Grand Forks, North Dakota. Thank you so much! Saw the show with family “Live” in Baltimore. This was a great way for other family members who couldn’t attend live to see the show! BTW-Michael great job! I’m ready for the next tour. I don’t know if it’s possible but I want a another great one! I don’t know how many times I have said this but I was privileged to go to 4 shows and meet and greets. What an exciting time. My family says go if it makes you happy, and Celtic Thunder, you do make me happy and leave a big smile on my face. Sharon Brown you are a genius! Keep it up. I’m ready for more??. Thanks again for making so many people happy!